Not so long ago, dentistry operated quite differently. As the holiday season continues in full swing, many patients might travel across the country to see friends and family members. Holiday gatherings often center on an oven-roasted or fried turkey. Additionally, side dishes of vegetables, starches, and delicious desserts often find their way onto the holiday serving table. During this year’s annual holiday feast, take time to consider dentistry from the olden days. Your Celina dentist, Dr. Angela Ganjoor, discusses how pilgrims brushed their teeth. When the Mayflower arrived on Plymouth Rock so many years ago, survival remained paramount to success in this new-found land. However, the pilgrims likely made careful considerations to their oral health as well as their overall health. The pilgrims likely used hog hair bristles to brush their teeth. Additionally, pilgrims probably understood the importance of using herbs like tarragon as a breath freshener and cleaning agent. The American Indians likely showed the pilgrims where to find indigenous herbs for breath freshening. The American Indians most likely used frayed twigs to scrub between their teeth. Very few accounts provide detailed information about the oral health care of Native Americans, but everyone in the New World likely benefitted from a diet rich in fruits and vegetables. Unlike the pilgrims and American Indians, our diet now consists of large amounts of processed foods, and the average American’s diet fails to include enough hard fruits and vegetables. Eating hard fruits like apples can help stimulate saliva flow and aid in washing away excess food particles from tooth enamel. In addition to maintaining a healthy diet, we recommend that patients follow the brushing guidelines put forth by the American Dental Association and continue their regular six-month checkups with our Celina dentist office. 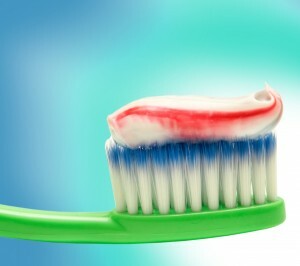 Always brush twice per day for a minimum of two minutes per brushing session. Also, make sure to floss at least once per day. Don’t forget to use an ADA-approved antimicrobial mouthwash after brushing. Dr. Angela Ganjoor offers several options to help patients receive dental treatment. You can reach our 75009 dental office at (214) 851-0130. We happily serve people in Celina, Prosper, and surrounding communities.